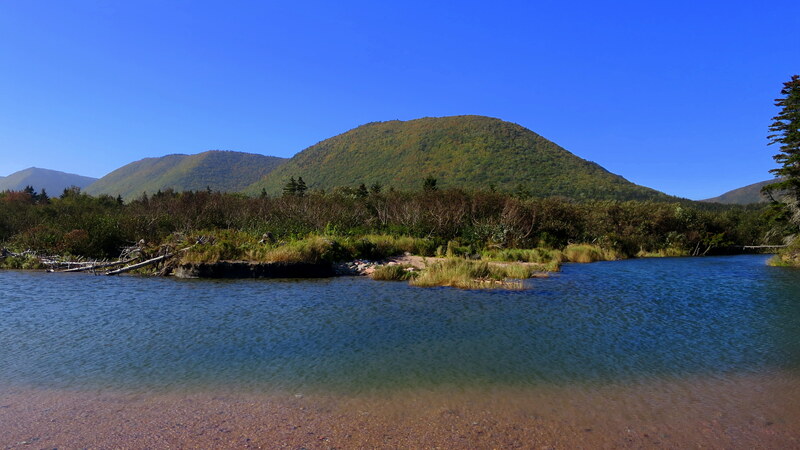 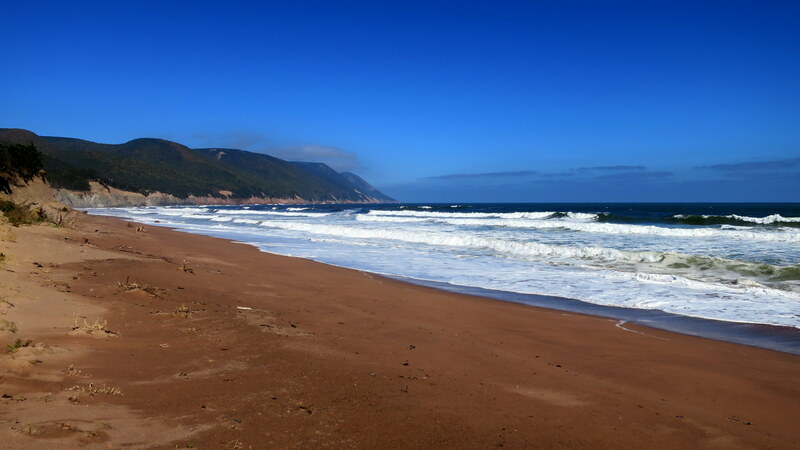 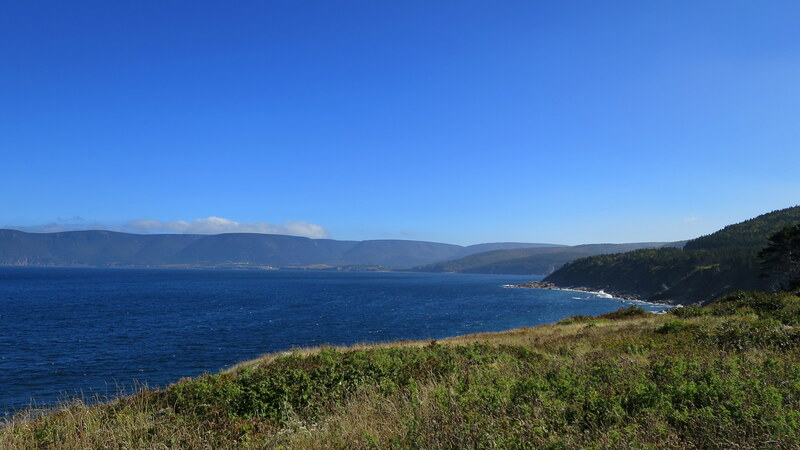 After crossing Cape Breton Island from west to east I detoured out of the national park again, this time in order to travel as far north as I could go. 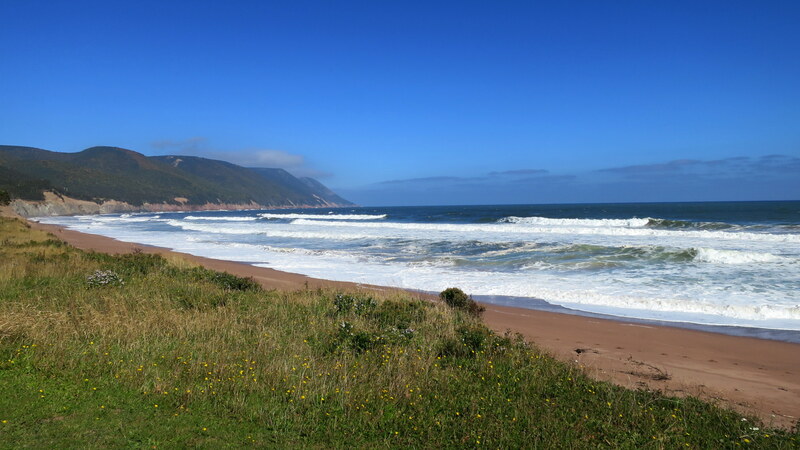 As I made my way up the coast, I made sightseeing and walking stops at Cabot Landing Provincial Park and Saint Margaret Harbour. 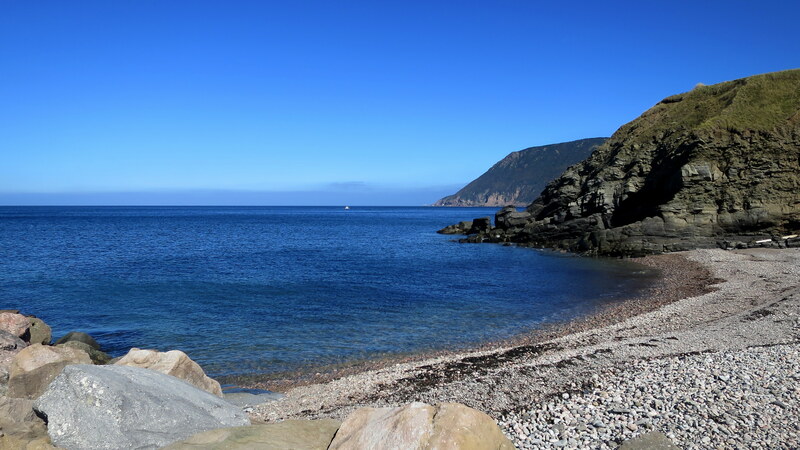 The former celebrates the purported landing site of John Cabot’s 1497 expedition on the shore of Aspy Bay and includes a very nice beach that I spent an hour walking along. 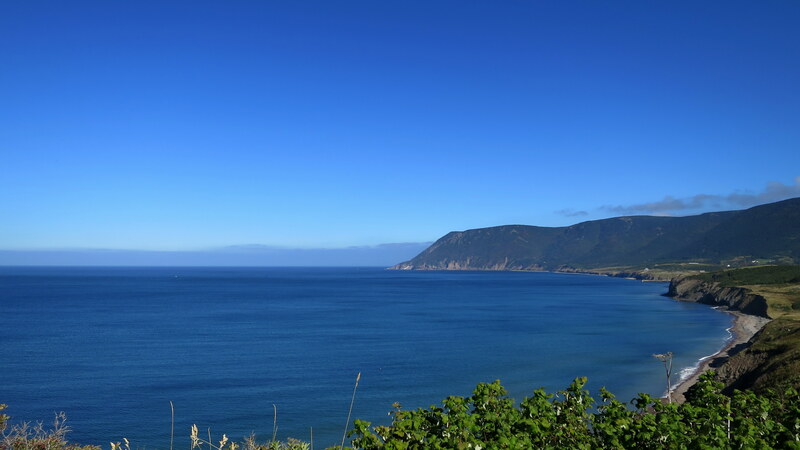 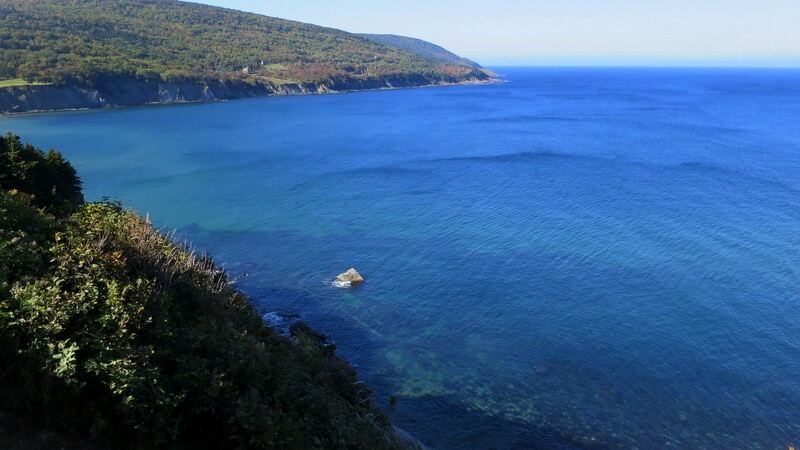 The water on this side of the island – which I think is still considered the Gulf of St. Lawrence – is fantastically blue, and seemed to be more vivid the farther north I traveled. 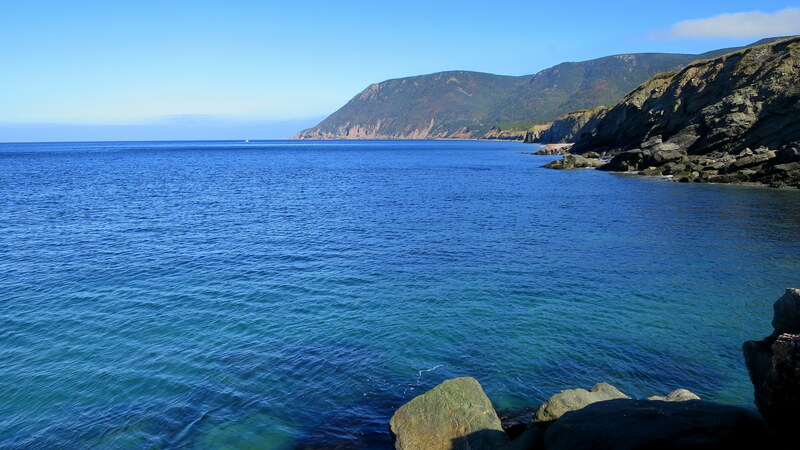 This was especially true of Saint Margaret Harbour which I came upon following the road after leaving the provincial park: The colors and clarity of the water here was incredible. 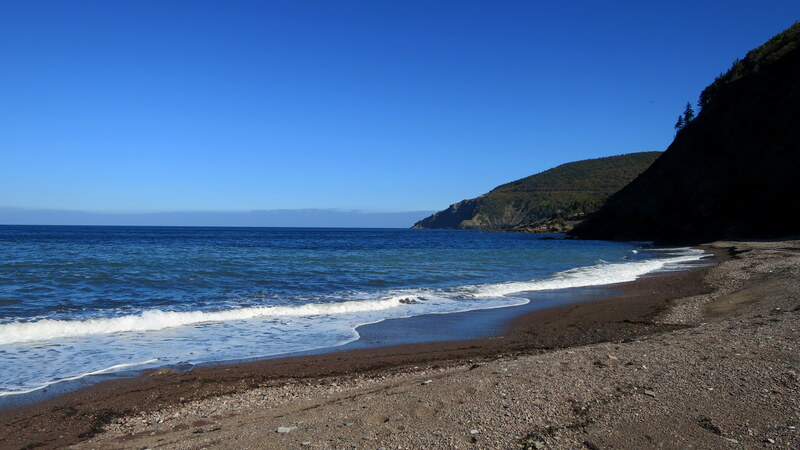 Continuing on, I then made my way to the farthest point north accessible by road – Meat Cove. 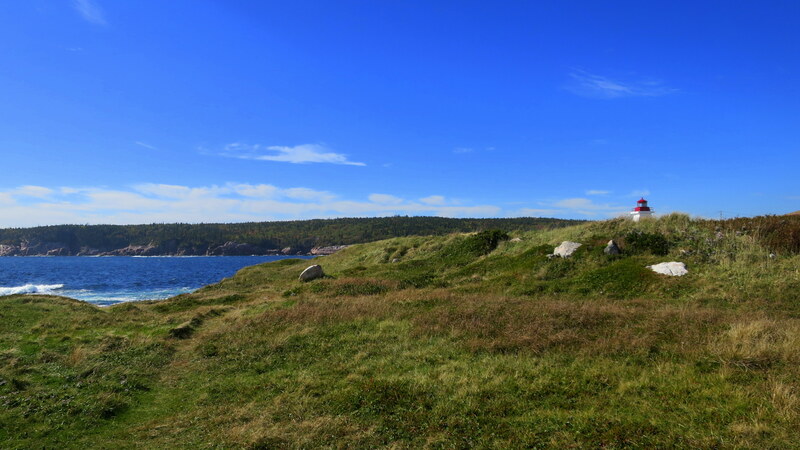 The pavement turned to dirt as the road hugged the coast, providing absolutely stunning views of the cliffs and the Gulf of St. Lawrence. 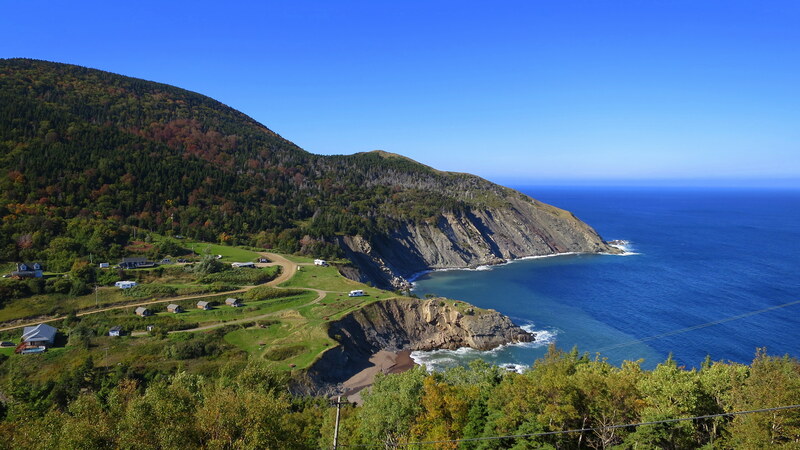 I was seriously in love but as I approached Meat Cove from above I think my heart my have skipped a beat. 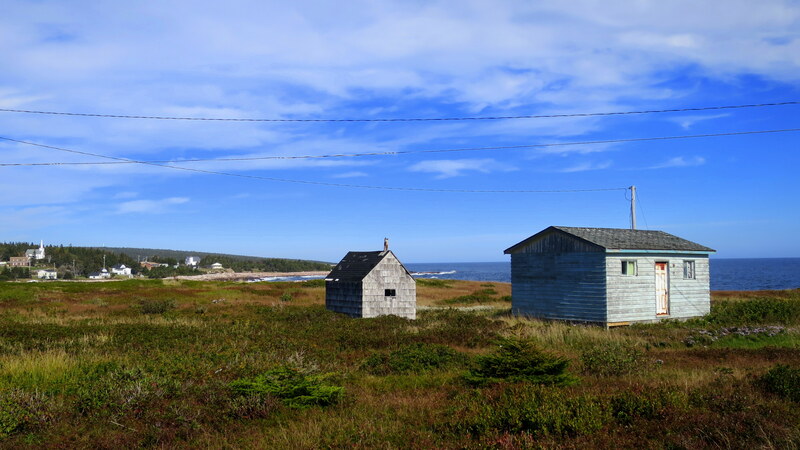 This tiny isolated community consisted of of a few houses and a campground, nestled between the highlands; it felt like the edge of the world out here — an incredibly beautiful edge. 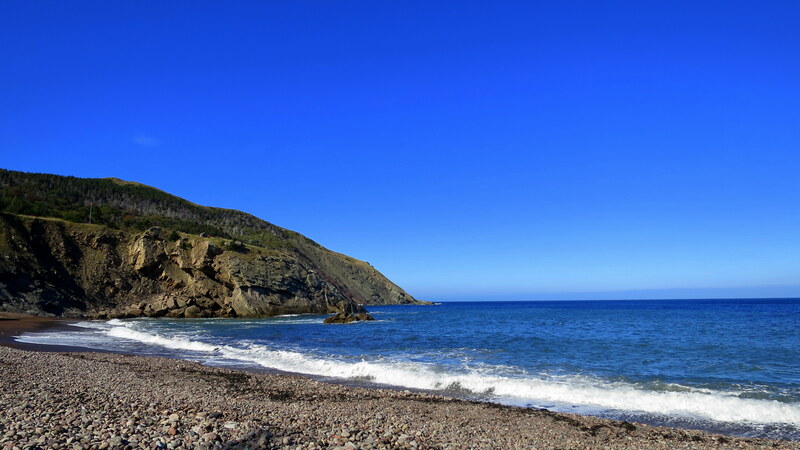 I turned around after spending a couple hours walking around Meat Cove and while I made other stops before re-entering the national park, I will skip ahead to show you photos of Neil’s Harbour since the other places will have their own posts. 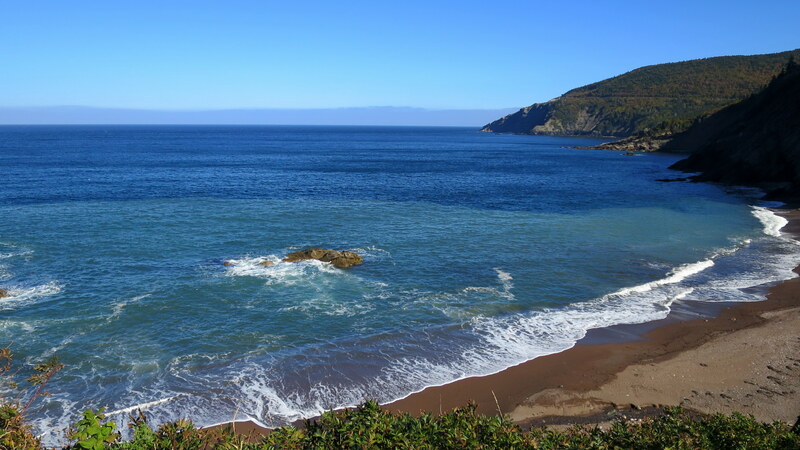 As I drove south along the eastern coast of the island, the land became flatter as the dramatic breaks between cliff and cove smoothed out and were replaced by rolling hills and consistently rocky shores. 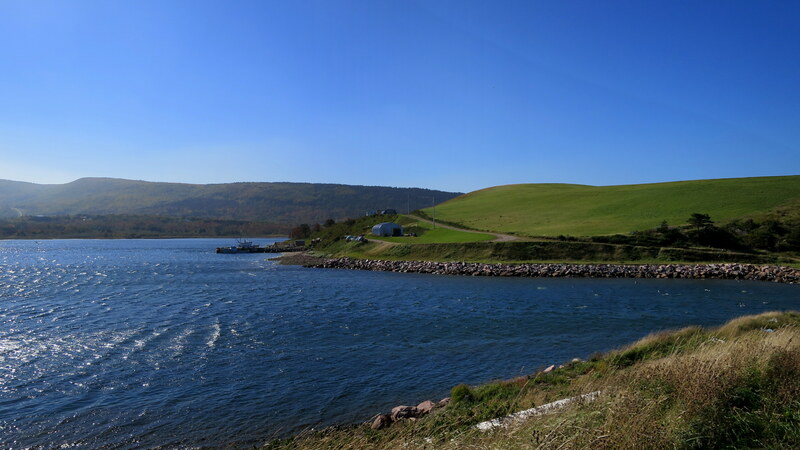 I rejoined the Cabot Trail just before Neil’s Harbour, located at the boundary of the park. 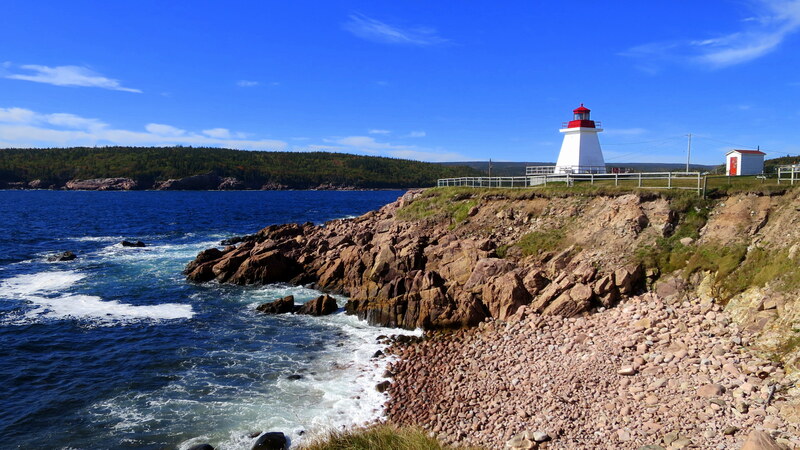 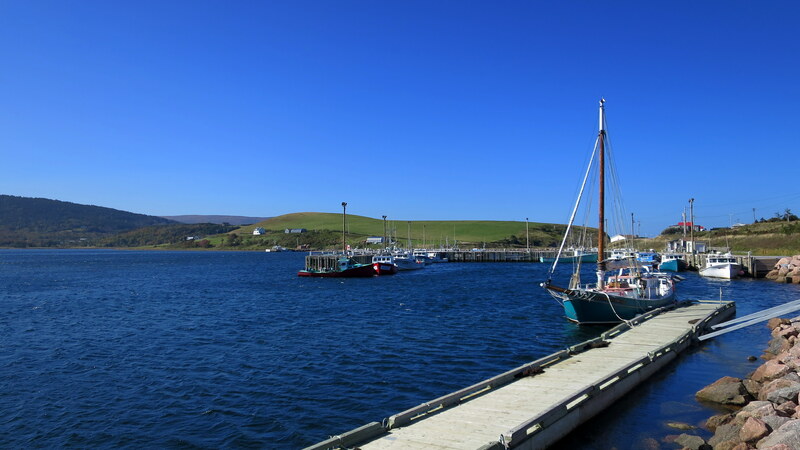 The town was significantly larger than those to the north, obviously bolstered by the tourist industry, and I probably wouldn’t have stopped if I hadn’t spotted a lighthouse. 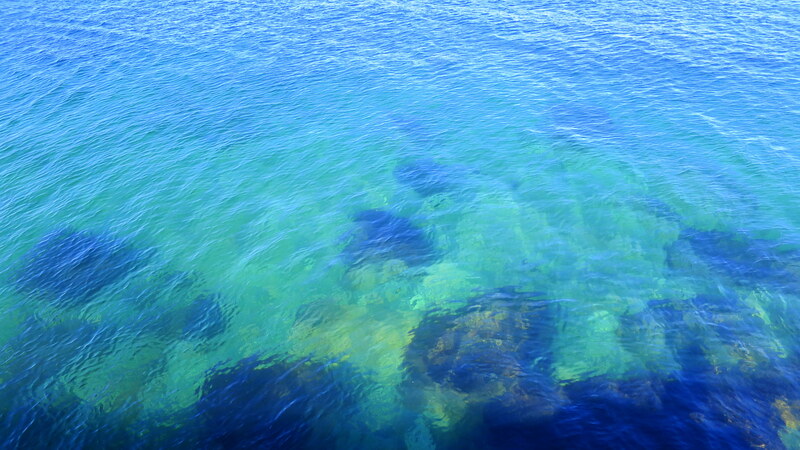 But I’m glad I did since the views were lovely.